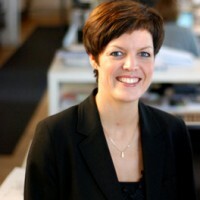 Helle Søholt is a Founding Partner of Gehl Architects and started the firm with Professor Jan Gehl in the year 2000. The office has developed a knowledge base and experience respected internationally within the field of urban design and urban development and has gained multiple prizes and recognitions for its contributions to making cities more livable and sustainable. Helle Søholt is educated as an architect in Copenhagen at the Royal Academy of Fine Arts as well as at the University of Washington in Seattle, US, and she has extensive international urban design experience at various levels of intervention and at a multitude of scales from urban analysis, visioning and strategy to design development. Helle Søholt has over the years acted as a trusted advisor to the City of Copenhagen and other great cities like the City of Vancouver, Mexico City, Cape Town and Sao Paulo. Helle Søholt was awarded member of the Danish Arts Society in 2010. She was also reworded the Danish Dreyer’s Prize of Honor for architects in Denmark. Since 2008 Helle Søholt has served as member of numerous Advisory Boards for cities, national authorities, think tanks and committees. Currently Helle Søholt is acting as board member of Realdania Foundation in Denmark, The Danish National Architecture & Design Consortium, the Danish National Aquarium as well as acting as an external examiner of Sheffield University. Helle Søholt often serve as a keynote speaker focusing on the issue of urban quality and mobility at a wide range of international conferences and act on design competition juries in Europe. Helle Søholt is a strong advocate for healthy urban living supporting compact urban form, human scale and mobility for all.